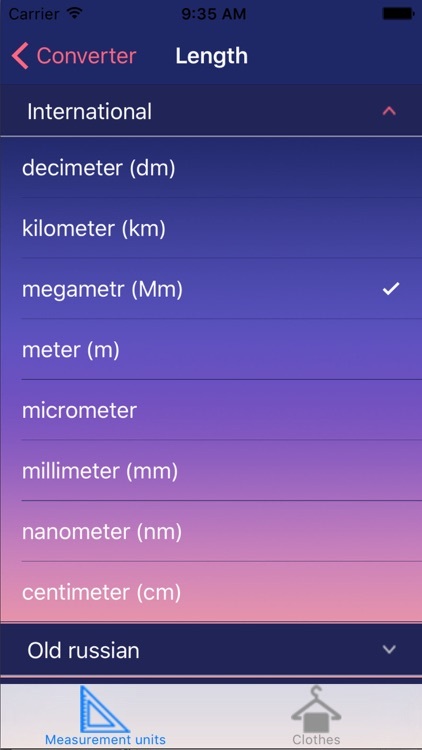 Measure converter for basic units (meters, nanometers, miles and also including old Russian) and clothing sizes. 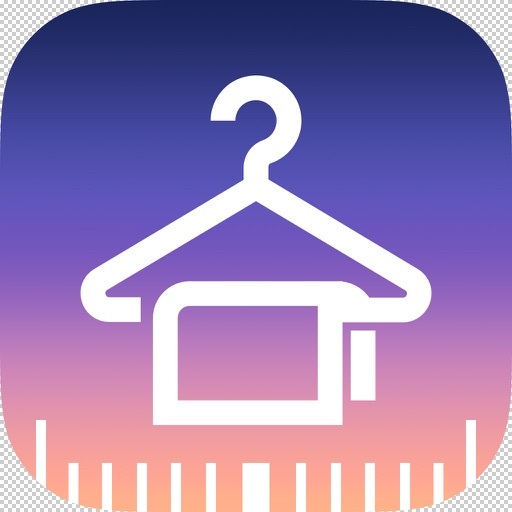 Collected all sizes of clothing (lady's wear, men's clothing, baby clothes, footwear, underwear, baby beanies and nd a lot of useful). 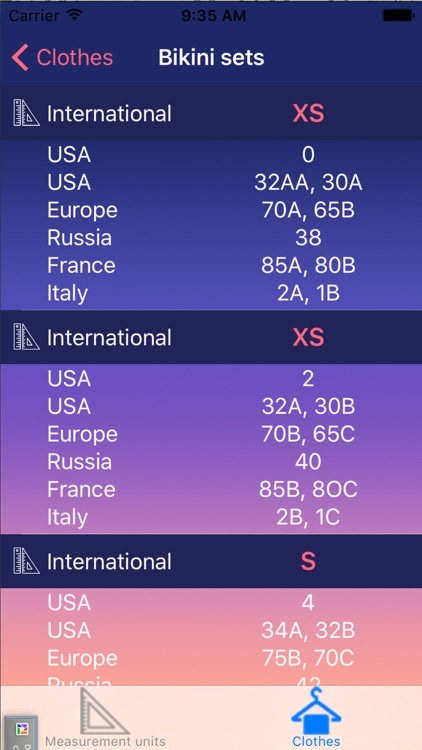 Sizes are indicate for different countries (Russia, USA, Italy, France and so on). 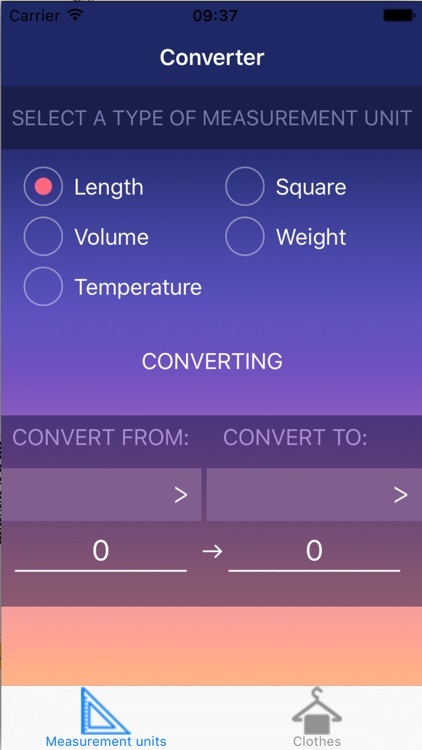 You can change the number of units and the program will automatically recalculates. 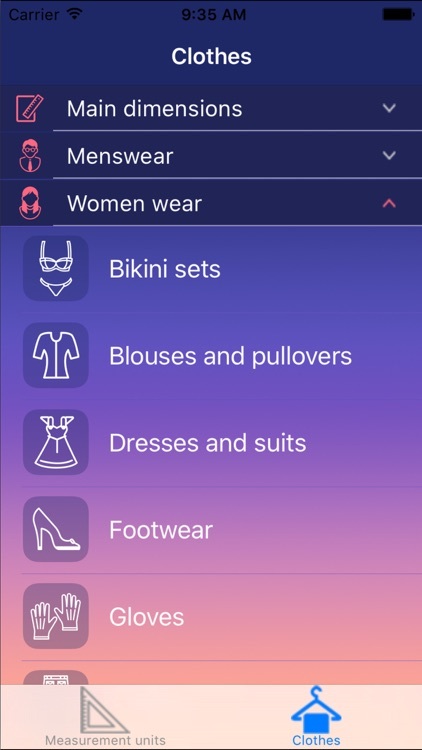 The program is useful when traveling or buying clothes.